Consumers forever grumble about products and services making their life difficult, but there are some shining examples leading the way. As World Usability Day approaches, what are the best doing right? Fumbling haplessly while trying to open a compact disc or a packet of ham has become a daily headache of modern life. 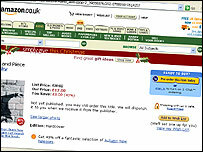 And anyone buying electronic goods for Christmas could still be mulling over the instructions long into the New Year. World Usability Day on Thursday hopes to draw attention to an often overlooked part of modern industry and one that is responsible for changing the way products are created. With thousands of products and services to choose from, ease of use is still a bonus factor rather than a norm and those that possess this elusive quality often go on to dominate markets. Google, Amazon and eBay are successful brands not just because of their financial models but the ease with which their users are able to achieve their goals on these sites, be they searching, buying or selling. Staff at Google develop many products apart from their search, but keep the homepage free of clutter. Amazon signposts the buying process by using only yellow buttons to guide its customers. Such examples of good practice are invisible to most consumers, but the bad stick in the memory. How many people, while trying to book a holiday online, have got one detail wrong on the form, only to see that it has deleted all the details and dumped them back to the beginning? A company's "brand" does not just mean their logo or icon, but the gut feeling a customer gets from their products. This gut feeling is communicated by many elements including what the company says about itself, its advertising and, of course, the ease of use of its products. Positive experiences with products and advertising seek to remind you of a brand's good qualities, and this responsibility has shifted away from marketers and advertisers, thanks to work done years ago by the pioneers of usability. As far back as the 1970s, many current giants of the computer industry set up some of the earliest "usability labs", where typical users of those products were asked to carry out tasks under observation. If they couldn't achieve those tasks - for example, opening a spreadsheet - it was noted and the product changed accordingly. Martin Hardee, director of web experience design at Sun, worked for technology company Sun Microsystems in its early days. "When we created our first web pages, we immediately realized that nobody yet really knew anything how to present information in this online medium - it was just too new. Luckily, usability expert Jakob Nielsen had just joined Sun, and he immediately launched into a series of tests in our usability labs. "We quickly learned what things work and what doesn't on the web. Some of the things we learned in those early tests are still fundamental design principles for any website." Critics say this approach is too controlled and simple usability only answers a few questions demanded by the marketplace. A more recent term, user experience, coined during the 1990s, covers many forms of research and design, from surveys to detailed field interviews, from logo design to system architecture. Sun and many other companies now practice this broader approach to customer research and design. It reflects how the process of designing for ease of use has evolved into a broader practice that requires companies to rethink how they work, combining design, marketing and research with strategy and product development. This wider view is what's needed to fully meet the needs of users, says Colin Hynes, head of usability at office retailer Staples. He says: "The best research is most often done in context. When Staples observes users in their natural environments, they behave in natural ways that they may not when sitting in a lab, away from their own desk, computer and materials." A mission to consider and understand the whole user experience is under way across all of Staples' "channels" - their shops, call centres and web sites. 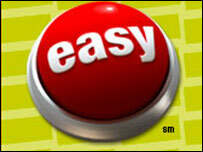 "Staples first started conducting usability in our stores when we introduced kiosks back in 2000," says Mr Hynes. "The executives - and the usability team - saw clearly that we had an opportunity to extend usability to make our overall shopping experience easier. To us, that experience might include interactions with a catalogue, store signage or a coupon we send." This process led the firm to change their marketing strapline from "We've got that" to "That was easy", launched with a fanfare in adverts broadcast during the 2004 Superbowl in the US. But the industrial world is still structured around the defined areas of marketing, design, audience research and product development. And how a "cross-channel" approach fits into that model hasn't yet been definitively established, says Phil Terry of New York consultancy Creative Good. "These divisions are so strong that in many cases an outsider can draw an internal organization chart based only on the website, store, or computer chip," he says. "We call this 'showing your organizational underpants'. "The bad news is that the only thing that typically unites marketing, design, product development, strategy, etc is that they are all not looking at the business from the customers' point of view." The companies that succeed will be those that learn from the pioneers in the field of usability and break down these barriers, ultimately putting the user at the centre of their approach. It seems that making something easy to use is not as easy as it seems. Fed up with compact disc packets or telephone queues? Send us your nominations for the best and worse examples of usability, which we will compile for a vote on Thursday.